KVR Coatings offers line marking services to schools, colleges, councils and sports centres. With our many years of experience and our team of highly dedicated and skilled engineers we can ensure high quality playground line marking at a cost effective price, with a variety of different colours to satisfy all of our clients requirements. With our years of expertise this means we can provide you with advice and information and the best way to maximise you space. 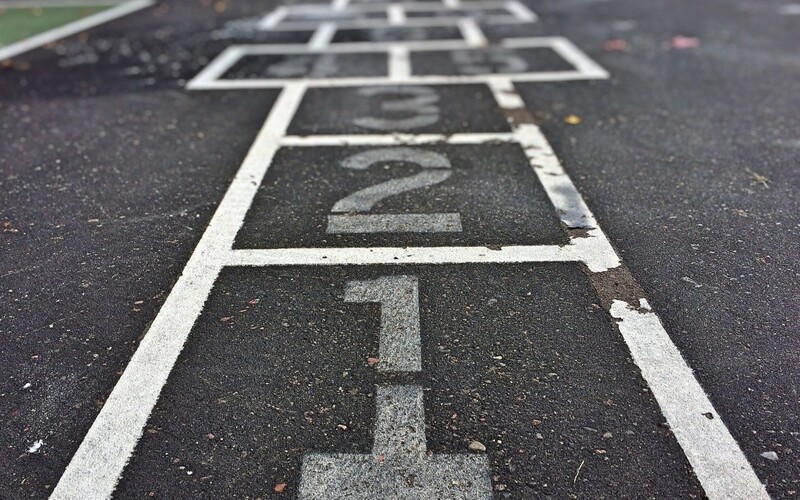 We can offer a range of playground markings in amazing and stunning different styles such as numbers, alphabets, number grids, counting squares, counting circles, dart boards, mazes, draughts, chess, roads, road safety markings, compasses, hopscotch, jumping games and exercise games. All of our playground markings are made from thermoplastic, made to be durable and self cleaning, it is also made to be non slip ensuring that children do not slip on the markings. Contact us today for a range of our playground markings.